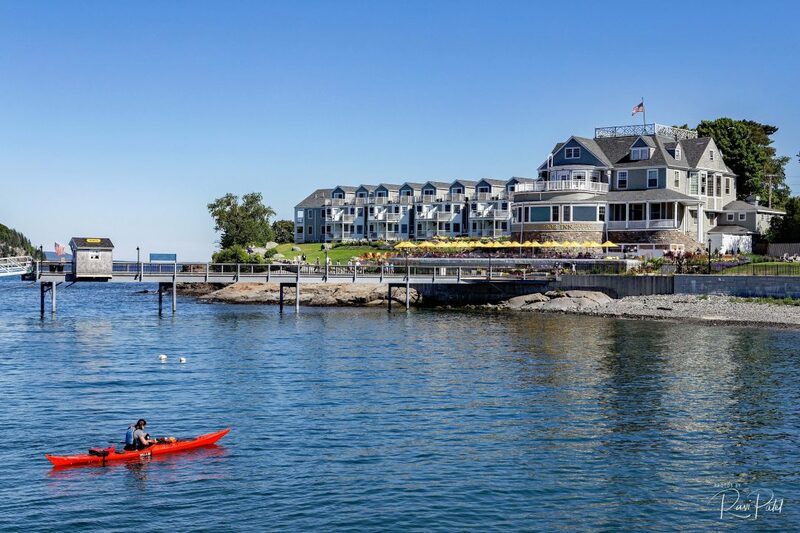 Located harborside in the heart of Bar Harbor overlooking Frenchman Bay and the Porcupine Islands, the Bar Harbor Inn is an iconic and historic New England vacation destination. A boat in the bay adds color to the image. Bar Harbor is a town on Mount Desert Island along Maine’s Frenchman Bay. 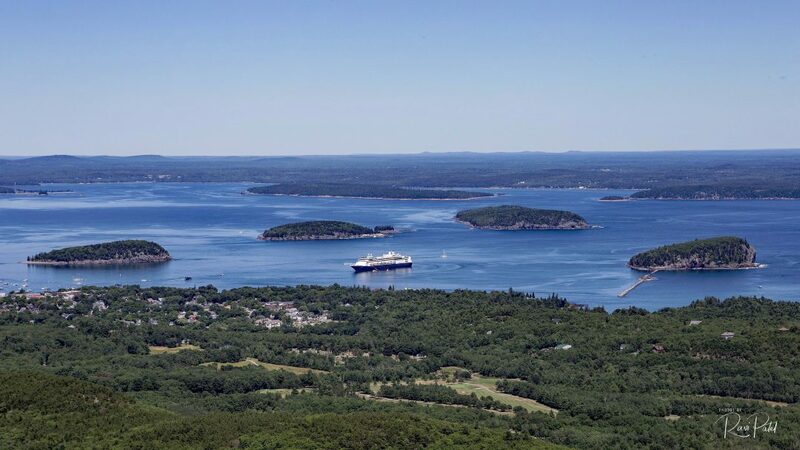 It serves as a gateway to the mountains and cliffs of neighboring Acadia National Park. 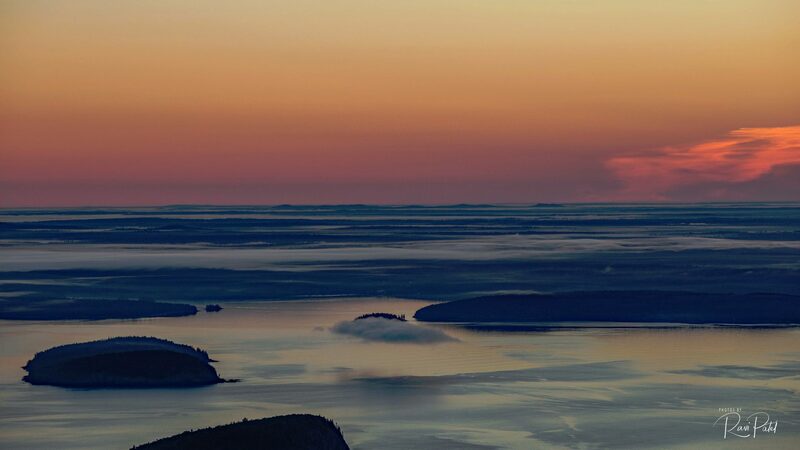 Towering over the park, Cadillac Mountain has trails and views of the town, the bay and the Porcupine Islands.